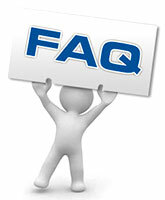 Why should I, or my company, invest in SEO? The short answer: Because your competitors are, and have been doing it probably longer than you realize. The long answer: Since SEO offers some of the best ROI in the advertising and marketing industry, it's the first choice as well as the most popular choice for getting in front of potential clients. As your competitors increase their SEO efforts, their appearance on the search engine results page will rise, while others continue to sink until they are no longer visible. Additionally, SEO is also very customizable so you can tailor and prioritize your efforts on the specific product or service you will concentrate on first, second, etc. However, the most important reason, unlike all other forms of advertising, you are getting in front of potential clients at exactly the time when they are either researching or ready to buy. Local SEO is simply adding your geographical location to your SEO strategy because the product or service you're selling is really only at the specific local market: city, county, state, etc. As the use of mobile devices such as smartphones and tablets increases, the probability of searches for a local product or service does as well. Restaurants, plumbers, piano teachers, and cleaning services, are just a few businesses that you would expect to be searched for locally and even while potential customers are on the go and not at home on a desktop computer. Therefore, local SEO is treated differently and optimized differently based on other factors. Additionally, your business MUST be physically located in the geographical location for local SEO to work. In most cases that should be fairly obvious, but I can't tell you how many times someone came to us and wanted to optimize for an area where they were nowhere near. Our recommendation, first rule your hometown, then go after surrounding cities, then think about conquering the rest of the world. 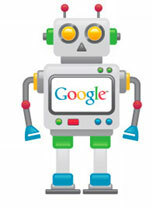 What is a robots.txt file and should I have one? The robots.txt file is the file which dictates exactly which parts of your website you do NOT want looked at or indexed by specific search engines. This is commonly referred to as exclusion protocol which sites use to communicate with search engines to invite or to restrict access to either general or specific areas of your website. You should use it when you want to turn away search engines from other countries, such as China, and request that they not index your website. If you're a local service, there should be no reason you want search engines in China, Russia, Malaysia or any other distant country to access your site. However, not all search engines abide by this protocol, and some may actually use that file to understand where to actually look; a horrible security technique to say the least. How long does it typically take to see SEO results? There is a wide variety of factors that will determine how quickly your site will rise in the ranks; one of which is the search engine itself. Typically, companies should slowly begin seeing results within 2-3 weeks of completion of the first phase. Contributing factors include: the rate at which the indexing occurs; the quality and quantity of the content, what your competitors are also doing, the speed increase or decrease of your server, etc. Although backlinks, which are purely off-page SEO techniques, are losing their luster, they still remain a key part of any overarching SEO strategy since search engines still see them as positive votes for your website. Backlinks from shady websites or backlinks from unrelated sites will now cause more harm than good to your sites since the various algorithm changes Google has implemented. Is having a blog helpful for SEO? It's not the blog itself that helps SEO, it's the content and the comments generated within the blog that is actually helping SEO efforts. The effect also varies widely across industries, and in some cases, it may actually hurt your SEO strategy. Why? Your competitors will find it. Spammers will find it. And, of course, they will start to exploit it for their benefit and your detriment. The general rule: if there is a community out there that can contribute, and there are potential users looking for ideas, suggestions, direction, tips or best practices and you can contribute, do it. If you don't have the time to run a blog or your SEO dollars are better spent elsewhere they stay away. What type of information is available about my competitor's website? Much more than people think. In fact, one of our first steps is: to "know they enemy" or in SEO, your competitor. What are they doing? How are they doing it? How long have they been doing it? Is traffic increasing or decreasing? Is SEM such, as Google Adwords working for them, and to what point? About how much are they paying? All of this information is available and should be taken into consideration when developing and executing and SEO strategy. Is it possible to get my company onto the first page of Google in 2-3 days? We, even as an SEO company, constantly get emails and calls stating that they can get us on top of Google in as little as two days. These scams are everywhere. What they really do is simply purchase PPC ads on Google for your company and mark them up significantly. And technically, you're on the first page of Google, however not organically. As soon as the ads stop, your website is no longer represented. So I guess the real answer is yes, and no. Do any SEO Companies actually have business relationships with search engines? Absolutely not! Anyone even remotely trying to convince you that they do is flat-out lying. We have worked with people in the industry who are now working at Google, but even that is simply a pure relationship with those people and does nothing to affect search rankings. It is however nice to run ideas and research past old acquaintances to make sure we stay near the cutting edge. We initially hired the SEO Design to help manage our Google Adwords. After a while, they helped us realize all the organic and local SEO potential we were missing. They truly bring a high quality of work and ethics into the business and we recognize them for their quality and customer service after the sale. Simply put, SEO Design's SEO services are the best bang for the buck when compared to every other SEO firm in Chicago or even the Midwest. It was the best experience I have encountered in working with an SEO firm and the costs were very reasonable, especially since no sales people or commissions were involved. We would definitely recommend them to small and medium sized business looking to compete in the Chicago area. These people understand SEO and don't charge what the downtown Chicago SEO companies charge. That's a tough combination to compete with. We would absolutely use and recommend them in the future! Starting optimizing for AOL in 1996, as well as working with Fast Search and Transfer (which was eventually acquired by Microsoft and now called Bing) and working with Google's Chicago office in 2003 and 2004 on their corporate search appliance, I think we can say we've seen a lot. As information architects and information designers we can bring technology, usability, design and search engine optimization to make your organization stand out from the crowd.